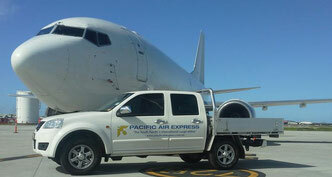 Brisbane-based Pacific Air Express (PAE) founded in 1993 and which operates regular and ad-hoc cargo flights throughout the South Pacific region, has announced that they are looking at opening a direct Australia - China cargo routing towards the end of this year. The carrier which presently operates with a somewhat older Boeing 737-300 freighter is planning to put a larger B757-200 freighter on a service between Brisbane and the Chinese city of Guangzhou. PAE has filed an application with the Australian International Air Services Commission (IASC) and is awaiting their approval. There is no information to-date on whether China has agreed. AirBridgeCargo Airlines is the second airline to join Schiphol Airport’s Pharma gateway Amsterdam (PGA). The carrier is now one of fourteen members of the Schiphol Cargo community which also supports the pharma initiative at the airport. ABC now operates 22 weekly flights from Amsterdam to pharma destinations in Europe, Asia, Russia and the United States and is also CEIV certified. The certification is a must before a company can become a PGA member. ABC’s mother company, Volga-Dnepr, along with AirBridgeCargo utilized a combination of Volga-Dnepr IL76 and B747 freighter service to deliver a power station gas turbine weighing just under 13 tonnes to Yangon in Myanmar. The first stage of the journey between Chicago and Hanoi was on board one of ABC’s B747s and then transferred to one of Volga’s IL76f aircraft for the relatively short hop to Myanmar. Lufthansa Cargo has awarded freight forwarder Panalpina with their “Planet Award of Excellence.” Panalpina is the first customer to receive this honour for a third time (2006/2007) from the German freight carrier. It was handed over at the carrier’s 19th Global Partner Council event which was held recently in Vienna between the carrier’s top customers and the LH Cargo management team. The award was given for what LH Cargo terms as Panalpina’s consistent outstanding performance in terms of global cooperation. The world’s top twenty-five air freight forwarders generated considerable revenues and tonnages again during 2016. However, the ranking of the first 6 - 7 forwarders did not change compared to the year before. DHL again came out as number one, followed by Kuehne+Nagel and DB Schenker. These three alone generated the lion’s share of revenues and tonnage. According to the listing which is compiled by Armstrong & Associates, there was only one newcomer into the top 25 listing. That was Apex Logistics International which managed to take the 21st position. Other than that, the list remains more or less on par to that of the previous year. Seven times a day, seven times a week - that’s the message Virgin Atlantic Cargo is giving the market for those wanting to move their cargo between the UK and New York. Business from London to New York increased by just over 20% in March and April for the UK-based carrier, prompting them to increase capacity by adding two new daily rotations - this time from Manchester - JFK. Flights commenced as of the end of May. Virgin now offers five daily LHR/JFK, one LHR/EWR, two MAN/JFK along with direct Manchester to San Francisco and Boston services. The Italian Association of Freight Forwarders has recognized Air France - KLM Cargo as “Best Airline of the Year” at the organization’s 60th anniversary at a ceremony held in Milan. The event was attended by over 450 air cargo professionals. AF-KL Cargo was honoured for two particular innovations in the Italian market. The first being the joint carrier’s new online portal named ‘myCargo,’ and secondly the ’Quote Book’ tool that gives customers speedy and competitive rate offers for shipments of up to one ton. The U.S.-based online internet supplier has made a move of its own in China. The company has decided to set up a direct mail port in the Chinese city of Zhengzhou which is fast becoming one of China’s main air cargo hubs. The new centre will be used to coordinate and deliver orders made with Amazon from Chinese clients and which are flown into Zhengzhou from Los Angeles, New York and Chicago. Shipments are mostly carried on Yangtze River Express flights from LAX and Cargolux’s direct flight from ORD. The Jeddah-headquartered national carrier of Saudia Arabia also wants to be a major player in the transport of pharmaceutical products. They are investing heavily in containers which are suitable for the transport of pharma items which demand strict temperature controlled units for safe transport. The same apparently applies for containers for carrying perishable items such as fruits, flowers and vegetables. 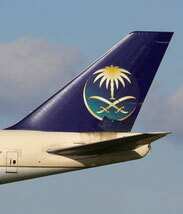 Saudia Cargo has also indicated that they will join the CEIV Pharma programme and hope that they will be fully certified by the end of this year. Cargo Air, a Bulgarian cargo operator has taken delivery of a B737-400 freighter which previously flew in a passenger configuration for Enter Air. It is not known whether they will in turn lease it out to another carrier. DHL’s Bahrain-based Middle East Aviation daughter has taken on another B767-200 freighter which they reportedly took over from the ATSG Group. Another four B737-400 converted freighters are being readied for delivery to VX Capital Partners who will then lease them out to other carriers such as UK-based Atlantic Airlines and Mexico’s Estafeta Cargo Area.